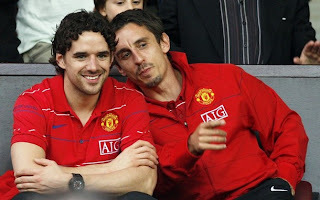 Owen Hargreaves and team captain, Gary Neville, watching the squad play Juventus in a pre-season friendly. No real reason to post -- do I need a reason for a gawk? Didn't think so.